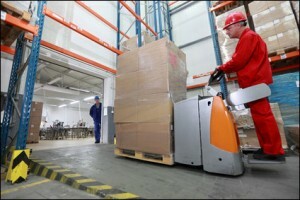 Why is Warehouse Flooring Condition So Important? 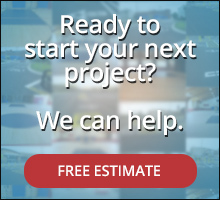 | Brite Line Paint Co. Inc.
Why is Warehouse Flooring Condition So Important? Have you ever been in a warehouse where the floor is chipped, it is dull, and there are no markings on the floor to specify hazardous areas? If you have, then chances are you were looking at a major hazard. If you asked those working in the space if there had been an accident, they probably would tell you that there was a fairly recent one. But how in the world can warehouse flooring save people from having accidents? It is rather simple: a smooth working area that is properly marked is one that reminds employees to use best practices and the floor itself doesn’t cause accidents. If workers are working around broken flooring, that floor is a recipe for disaster. Concrete floor repair is one of the first steps that will need to occur in a warehouse that has less than favorable flooring. If the concrete is in good condition for the most part, then the broken areas can be fixed. This will save a great deal of money over replacing the entire floor. In other words, it is possible to repair the floor as issues occur instead of letting it go toward the goal of replacement. You could possibly get many more years out of your floor. If you can’t get many more years out of the floor because it’s just that bad, then it may be time to replace it. If so, you will need to suspend operations long enough for it to be replaced. Repairs can be done without any significant interruptions. The floor coating protects against wear and tear. If there is vehicle traffic in the warehouse, the flooring needs to be durable so that it is not chipping and cracking every time something is dropped. Floor coating also adds to the amount of light in the warehouse. Because of the gloss of the floor, the lighting reflects off of the flooring, making the area brighter. This adds to the safety of the workspace because it is easier to see what is being done. Hazards can also be seen easier. The flooring lasts much longer than it would if the concrete was exposed, which is going to save money. Polished concrete also requires less maintenance than porous concrete that is exposed. So by making the warehouse floor shine through concrete polishing, you are doing all of the warehouse workers and yourself a large favor when it comes to safety and the money saved. After the concrete is polished, the next step is the warehouse floor striping. This striping is important for a wide range of reasons. The first is that foot traffic and forklift traffic can be separated. This is important to safety for the fact that some of the worst injuries that occur in warehouses involve people who come into contact with forklifts. Warehouse floor striping can also be used to identify dumpster areas or areas where dangerous machinery may be. Since people see the floor in front of them when they walk, different types of striping in different colors can warm then that there is a hazard ahead so that they can take the proper precautions. Warehouse floor striping may even be used in loading zones so that caution is had. It can be used to tell individuals where not to park forklifts and even tell people not to stand in specific areas because those areas may be susceptible to falling objects. There are many reasons for warehouse floor striping, which is why it is very important in the warehouse. It more or less serves as a roadmap for employees so that they are always vigilant. When accidents are reduced, so are workers’ compensation claims and even possible lawsuits. 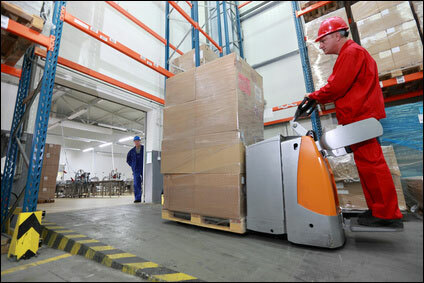 You are also able to keep better order in the warehouse, which, again, can enhance safety. It can also enhance productivity and that is something that is going to pay off now and in the long-term.